We're all used to the Hollywood "It" couples - the Brangelinas and the Kimyes. But there's a whole group of celebrities dating normal people, too! Do celebrities date normal people? Actually, yes, they do! C'mon, us normal people aren't that bad, right? This list of famous people dating non-famous people includes Amy Schumer (she basically broke the Internet when she released a pic of her super cute "normal" boyfriend), Adele (who has a son with her "regularl" man), and Charlie Hunnam (he definitely makes any and all lists of celebrities with a non-famous girlfriend). Dating celebrities is probably hard work, but comes with lots of perks as well. Sure, you have to deal with the paparazzi, but then there's all that taking secret vacations to exotic places, enjoying expensive meals, and other cool things that come with celebdom. For the celebrities dating non-celebrities it must be nice to have a peek into normal life, and someone to ground them. So yes, celebrities are "just like us" and they do date normal people. Need proof? Check out the list of celebrities dating regular people below! 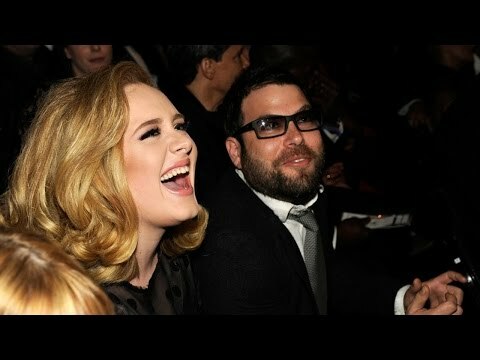 According to The Sun, Adele and her husband Simon Konecki married in 2016, but out of the eyes of the press. They have one son together, and Konecki has a daughter from a previous marriage. "Being in such an amazing relationship with someone that's so there for me and so loyal and is really part of my core now, that's what made me write about everything I've ever done, because I've got his love," she said during an interview with 60 Minutes Australia. "Hello" to true love! According to People, Amy Schumer and her allegedly new beau enjoyed a candlelit dinner in NYC, a dinner that suggests a potential romance. Though not a celebrity in the mainstream media, Chris Fischer does hold a bit of a celeb status in the culinary world. Fischer, a chef and cookbook author, once won a James Beard award for his writing and his restaurant Beach Plum is apparently a favorite for the Obamas. Lea Michele is dating not only a non-celeb but also a man who's basically nonexistent on social media according to Just Jared. Based on Jared's findings, new beau Zandy Reich graduated from the University of Pennsylvania and started his own clothing line. Sounds a lot less stressful than singing and acting. Karlie Kloss's BF, Josh Kushner isn't just way cute, he's also super smart, just like the model herself (she can code!) According to BuzzFeed, Kushner, graduated from Harvard undergrad and the business school.